Much like the boy who boards the train on Christmas eve in the classic holiday movie, The Polar Express, I entered this Atlanta Braves season not knowing at all what to expect but wanting to maintain a positive attitude. Although I knew a few were coming, the offseason trades broke me down one by one. The Jason Heyward deal right off the bat crushed me, and his jersey still hangs in my room in Atlanta. I knew either Justin Upton or Evan Gattis would probably go too, just not both. And then just as my excitement for the new season grew again, John Hart, our faithful President of Baseball Operations/conductor with everything mapped out, traded Craig Kimbrel on Easter Sunday, almost like telling Braves fans Santa isn’t real. Having now gone full rebuild mode, the train started to rumble, and the season began. Based on what we know now, the Braves’ first 80+ games can be best described as a Christmas miracle. A 5-0 start came out of nowhere, with the team playing sound baseball full of strong starting pitching and timely hitting. That pace obviously could not continue, but for me a .500 team would be very acceptable given all of the circumstances, and a little more than halfway into the year, that’s what they gave me. However, it was at this point where the Braves reached their season’s North Pole, carrying a 42-42 record and holding a late lead at the Milwaukee Brewers. They blew that lead and were then swept in a 4 game series at the Colorado Rockies to reach the All-Star break at 42-47. The train now teetering on the tracks and ice cracking below. 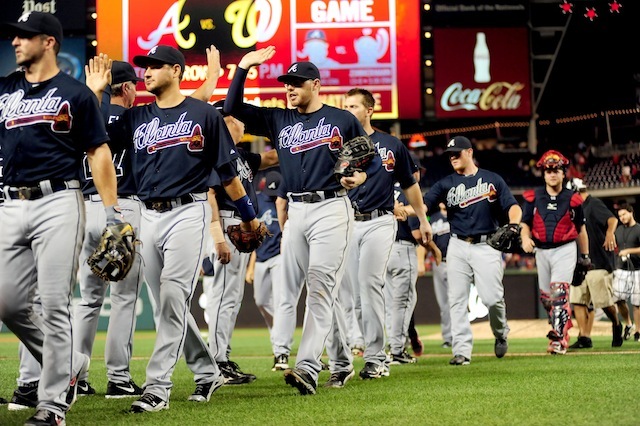 The Braves went 25-48 after the All-Star break. More trades and all of the minor league call-ups probably required a revolving door in the clubhouse. Our train didn’t just go off the rails, but rather careened down the mountainside with the end of the season the only thing that could stop it. Here’s a sampling of the damage: a 50-game stretch in which the team went 12-38, its worst since 1935; an Atlanta franchise record 12-game home losing streak; an 0-10 record in Washington against the hated rival Nationals; and at one point a 25.5 game deficit in the National League East division, its farthest out of first place since 1990. 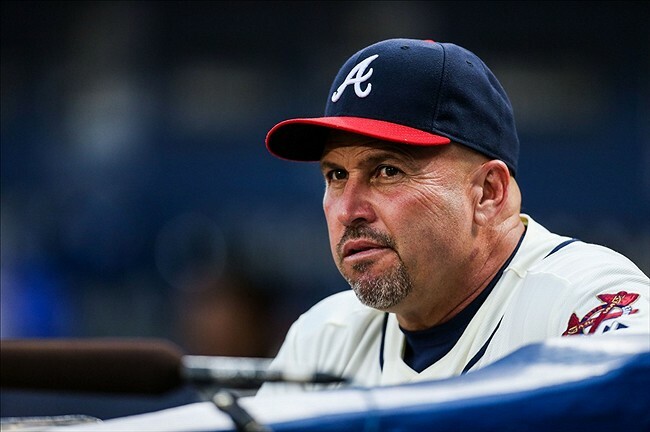 Atlanta had the worst bullpen in Major League Baseball yet somehow managed to win an MLB record 20 consecutive one-run home games. Equally unheard of was that Shelby Miller, despite pitching great, went 24 starts between wins before finally breaking through with a victory on the last day of the season. They steadied just enough in the last couple weeks in order to avoid becoming the first team in MLB history to lose 100 games after being at .500 more than halfway through the season. After sweeping the Marlins to start the season, the Braves swept the Cardinals to close it out; the games in between didn’t go nearly as well. And no, I am not a fair weather fan at all (ask my friends and my mom), so I have watched most of these displays filled with agony, disgust, and laughter because when it rains, it pours. But it is now when Tom Hanks’ character/John Hart has begun to punch our tickets, to Turner Field now and SunTrust Park soon. A 95-loss season has the club slated to make the #3 pick in next summer’s draft, which will only allow Hart to continue the already massive overhaul he’s executed on the organization’s minor league system, which has vaulted to the #2 ranking in the MLB, according to ESPN’s Keith Law. 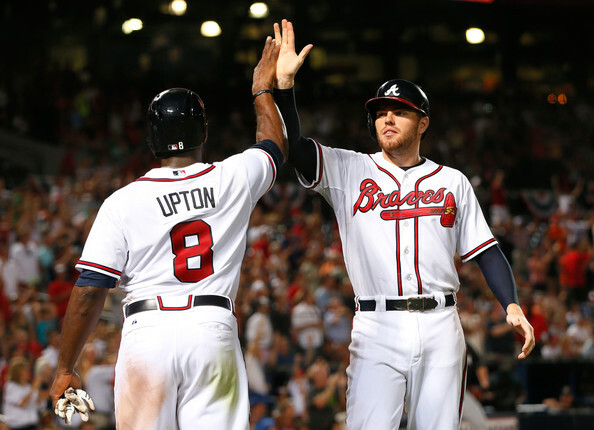 The trades, though hard to swallow, revived the farm system and will provide excellent young talent and depth all over the field to add to the present core roster signed long-term that includes Miller, Julio Teheran, Nick Markakis, Andrelton Simmons, and Freddie Freeman. Hopefully, the 2016 season will be one of stabilization in which the train returns to the tracks, young players gain more valuable experience, and the team starts to develop a winning attitude and respectable on-field product. Ultimately, however, 2017 emerges as the year when everything must come together, for my sake and especially that of Hart, the Braves, and the city of Atlanta. An NL East title and strong World Series contention will make 2015 and 2016 worth the trouble; if not, we’ll find ourselves reaching for a sleigh bell that has slipped through a hole in our robe pockets. Riding the Crazy Train is nothing new to Atlanta fans; heck, we embraced it literally and figuratively throughout Chipper Jones’ legendary 20-year career. The Atlanta Braves adding a 2017 pennant to match the one from 1995 seems like something for which I have to ask Santa. So I’ll stay on the train with these guys, root for them, and watch them grow and improve. And when the SunTrust Express drops me off at the Cobb County station during the spring, summer, and fall of 2017, John Hart will finish punching my ticket: BELIEVE. 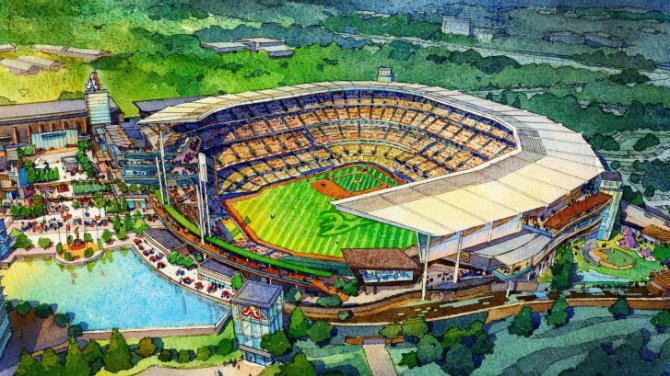 Together 42,000 fans will shake their red foam sleigh bells in the form of the Tomahawk Chop, and only Braves Country will hear it.